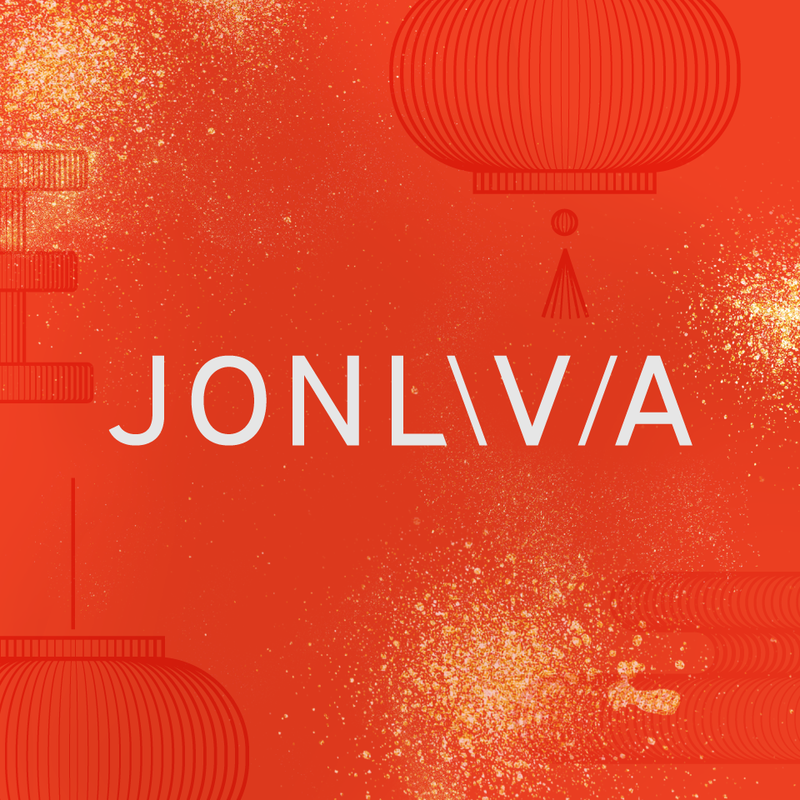 I believe everyone is well know about Jonlivia, as I had collaborated with them a few times to review their premium products. Just click in the links below if you're looking one of their hot selling product. First of all, I would like to thank you Jonlivia for inviting me to their launch event at Paradigm mall. 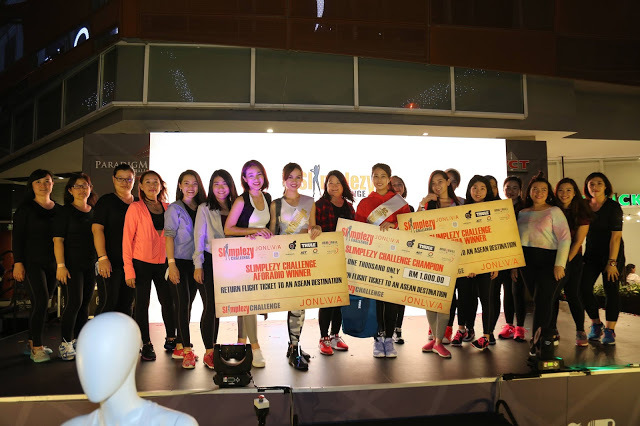 As I witnessed 20 contestants battling it out to became on top of the healthiest lifestyle with the challenge that spans over 2 months, exclusively for women called the Slimplezy Challenge. The event is sponsored by JONLIVIA Active wear, one of Malaysia’s premium activewear, which will also be showcasing the first ever skin brightening activewear during the event. 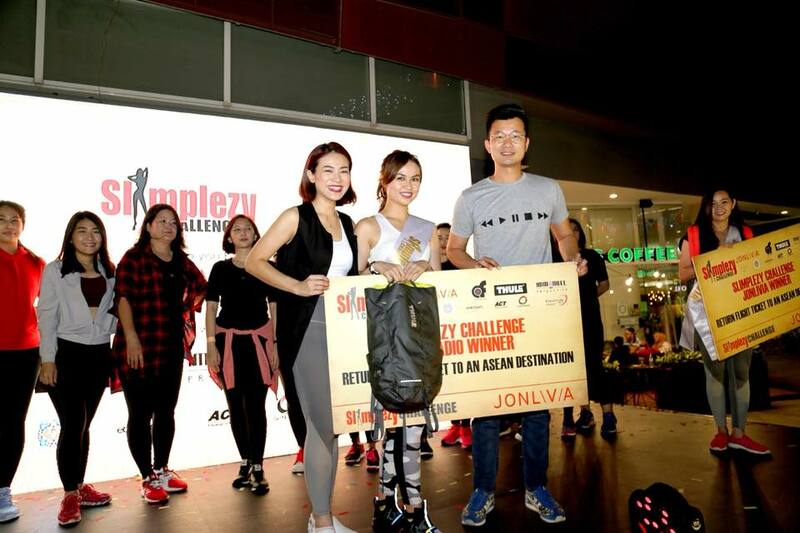 The Slimplezy Challenge is a platform to celebrate a healthy and balanced lifestyle among urban women, who are too busy with the pressures of modern life, the challenge will culminate in a runway show where 3 final contestants will be chosen to win return tickets to an exotic Asian destination, along with premium JONLIVIA products. 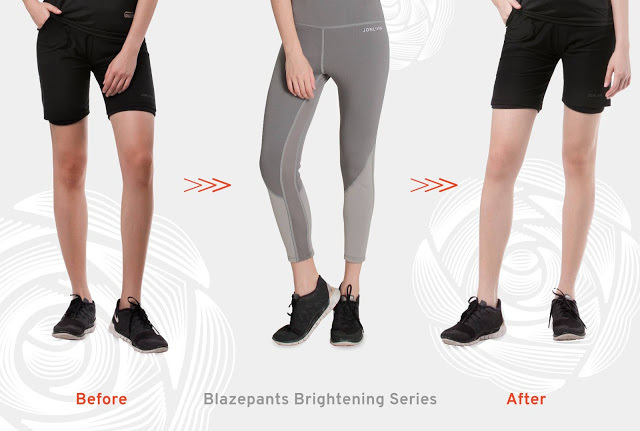 The BlazePants Brightening Series lets you sweat faster as you burn calories faster. The benefits go beyond fitness, it can brighten skin via fabric immersed in distilled rose components extracted from hundreds of organic rose petal components, 50% UPF protection and many more natural benefits that will come with the rose extract. It is ideal for sensitive or dry skin because of its anti-oxidising properties. The BlazePants Brightening Series will be retailing at RM 208 and available for purchase online at Jonlivia.com or from the retail outlet at Jonlivia Liftstyle Club SS2. To find out more about Jonlivia, please visit their links as follow or you may contact them thru WhatsApp or email about Jonlivia trendy sport wear in a quicker response.